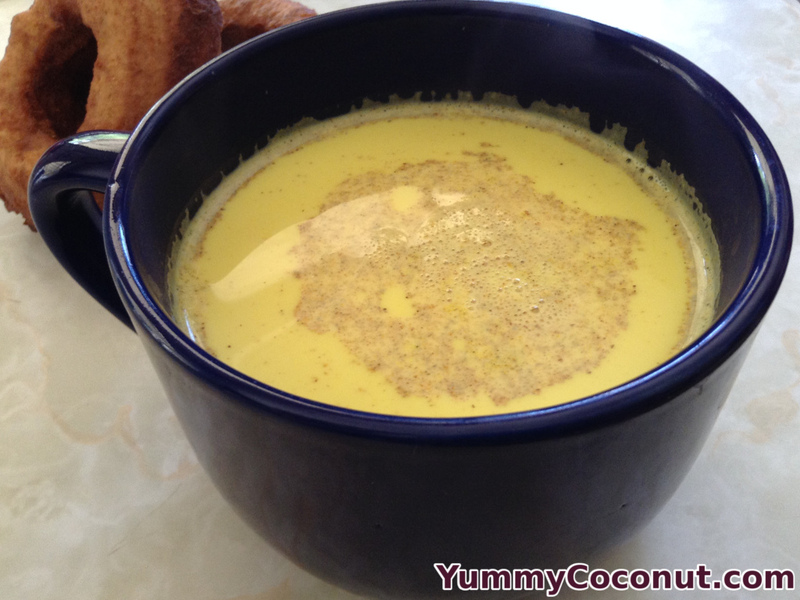 Make a simple and delicious golden milk using coconut milk, turmeric, cardamom and cinnamon. Start by combining all turmeric paste ingredients in a small saucepan over medium low heat. Stir the ingredients while cooking for about 5-7 minutes. The paste will thicken in this time. Add more water if the mixture is too dry. Once your paste is complete, place 1 teaspoon of the finished paste, the coconut milk, regular milk, cinnamon and cardamom in a saucepan and warm gently over medium - low heat. Stir all ingredients while warming. Once warmed, remove from the heat and add in honey or sugar to taste. This recipe uses mostly coconut milk and little regular milk to thin the consistency of full fat coconut milk. If you are using a skim version of coconut milk, feel free to omit the other milk entirely. If you are using raw honey, wait to add the honey until the drink has come off the heat. Check to make sure the drink is not too hot for your honey by placing one finger in the milk. If you can hold it in without discomfort, it should be OK to add the honey. Store extra turmeric paste in the refrigerator and use as needed.